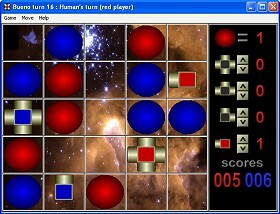 Bounce your laser beam off your opponents lasers to potentially capture the whole board ! Play on a standard 8x8 board or embark on massive campaigns on up to a 16x16 board! Enjoy the strategy and intrigue of a three or four player game! Discover new challenges and strategies by changing the game parameters! Realise your full Strike-A-Light potential! Are you looking for a new game that is fun, easy to learn and challenging? Then you've come to the right place! Strike-A-Light has rules so simple they almost seem trivial - but the strategy will take a lifetime to master. 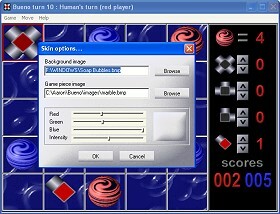 You can play with one or multiple opponents (computer or human). Play against each other or in teams! 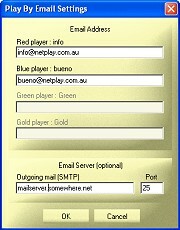 Strike-A-Light also supports an easy to use play-by-email option. Just enter the Email address of your opponent and then make the first move. Strike-A-Light will automatically send an Email with your move attached. Your opponent just opens the attachment to make their next move. Download the FREE Windows version and see how you will soon become enthralled by the strategy of Strike-A-Light. Nine difficulty levels to match your skill. 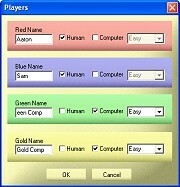 Play against a friend (also includes an easy to use play-by-email option). Full Undo / Redo of every move in the game. Automatic and manual saving of games. Game statistics on ALL players. Comprehensive help and strategy guide. Fully skinnable to suit your mood.